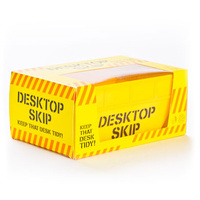 Desktop Skip | Keep your desk clutter free! Miniature Skip Bin for your desk! Great for office workers and kids! 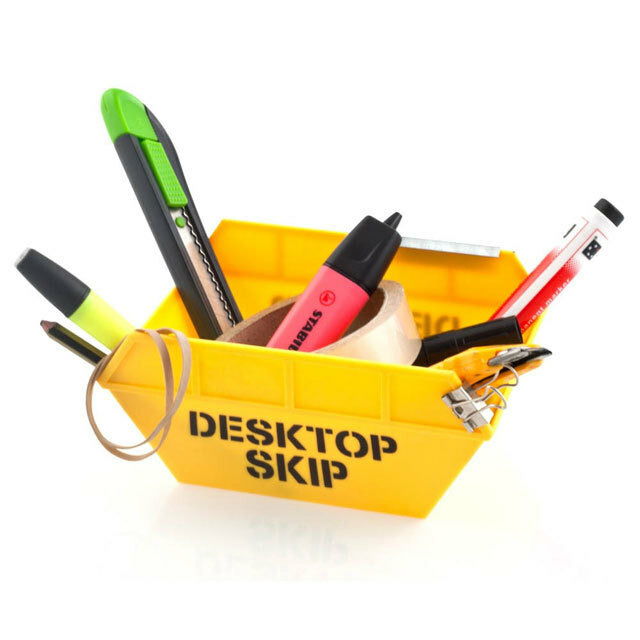 Is your desk always a mess? 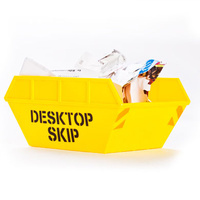 Keep your desk tidy with your Desktop Skip Bin! 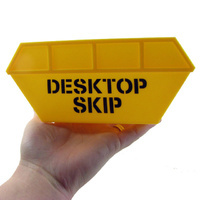 Shaped just like a miniature Skip that you'd see on a building or construction site, you can keep your space clean the fun way! Whether you're a student or office worker, you can use your Skip to store all your 'desktop essentials' and keep things clutter free! 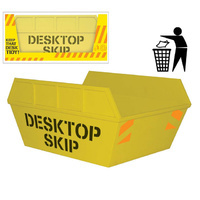 You can even use it as a general recycle bin for the ultimate in office waste management! 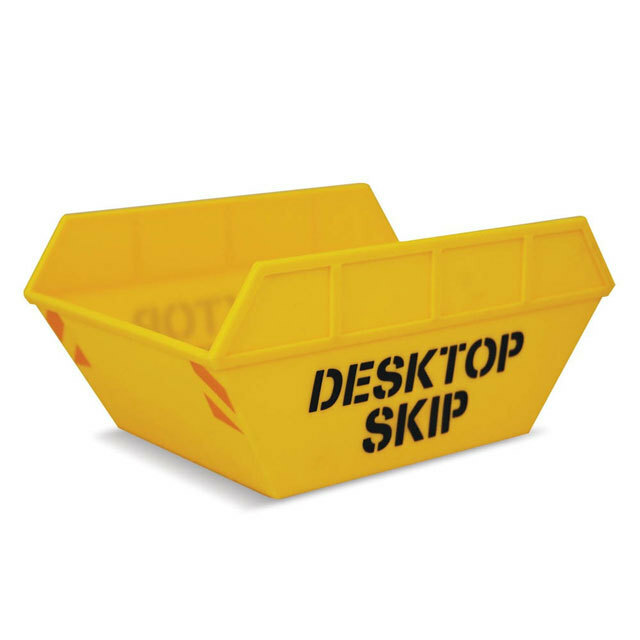 The perfect gift for a builder, waste management officer, or building inspector!